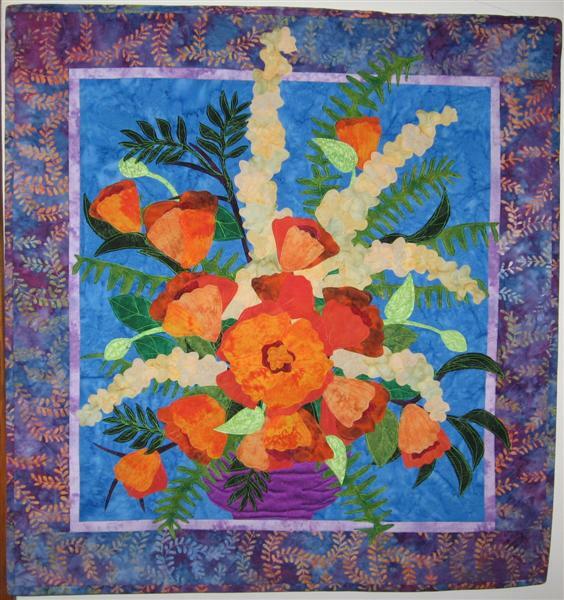 This quilt was in the 2007 International Quilt Festival. The glowing colors and contrast make this number among my favorite quilts. The first time I made this design, it was in southwest colors. I remade the design to test the pattern for a class I was teaching.